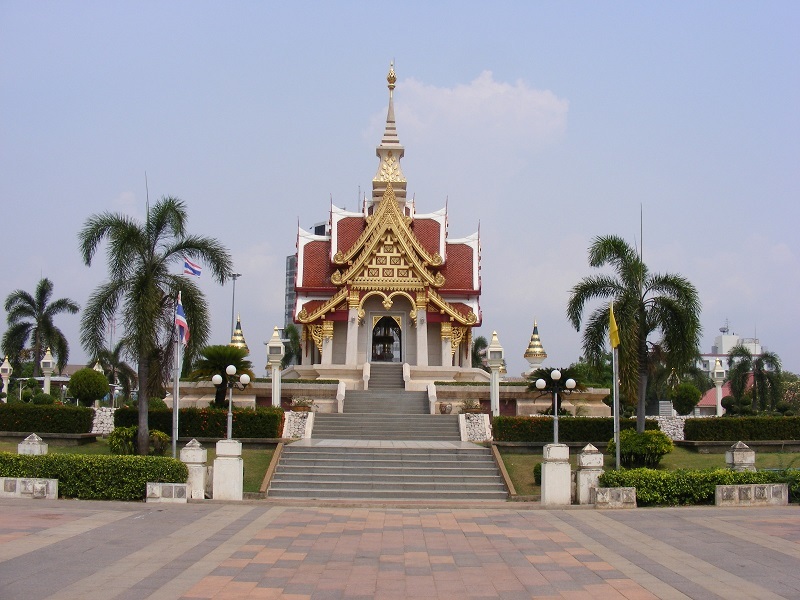 Naturally, Udon Thani has a large number of Buddhist temples, also known as Wat's, and located in the city centre is the Udon Thani City Pillar Shrine, where it is believed the guardian deity resides. 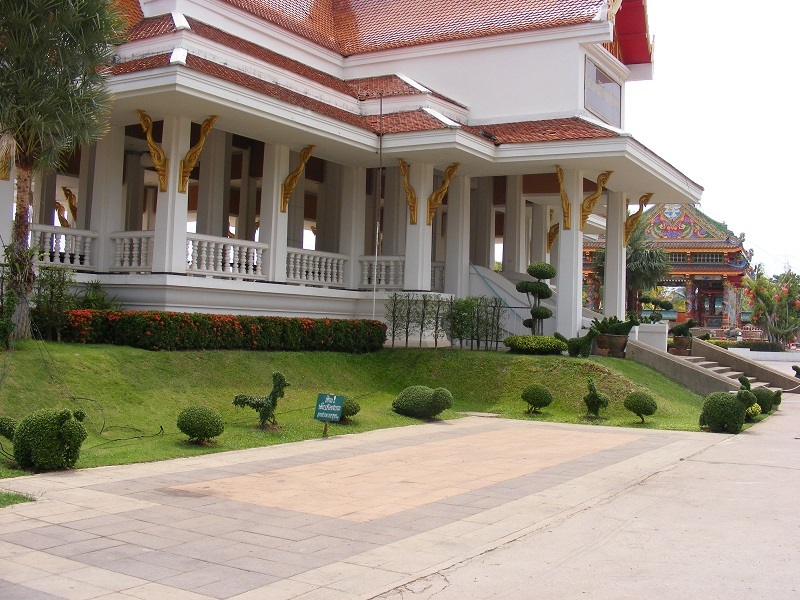 The temple grounds also features the God Wetsuwan, Udon Thani Province protecting God. 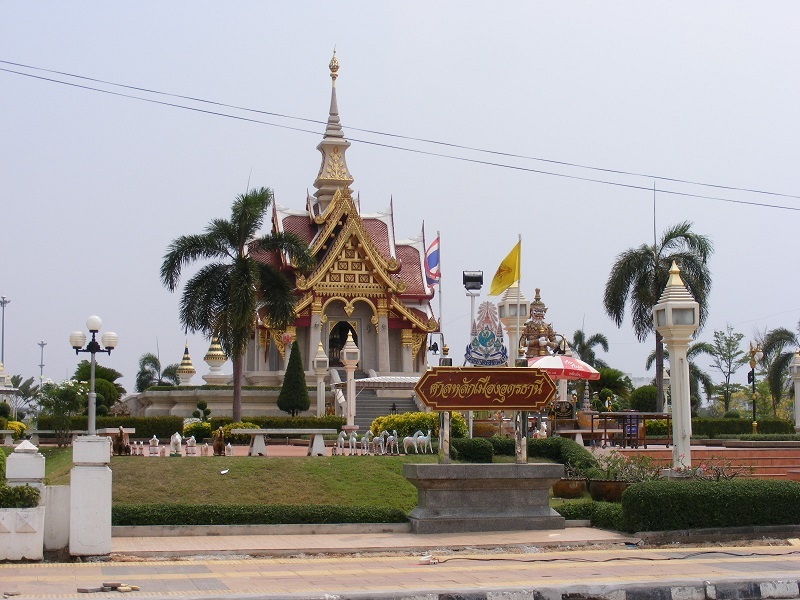 The City Pillar Shrine is not an especially remarkable looking compound but it is highly respected by the local Thai community. There always seems to be some work going on either to the shrine or the surrounding grounds, but this should not put you off taking a look around. You will only need about 10 - 20 minutes to take everything in and get some nice pictures, and there is nothing to stop you just sitting around and relaxing in the grounds. 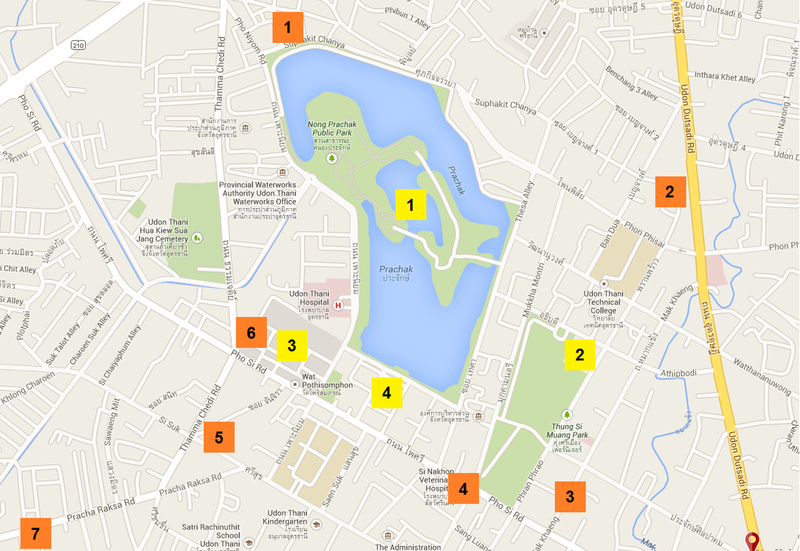 Make sure you see the entrance/exit on Athipbodi, as it is really attractive. 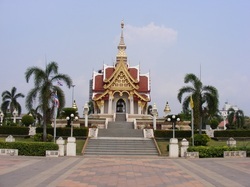 The City Shrine is located on the corner of Phran Phrao and Athipbodi, near Nong Prajak Park. From Day and Night, turn left and turn left again at the junction, on to Wattanhanuwong Road. Follow this road all the way to Phran Phrao Road, and turn left. 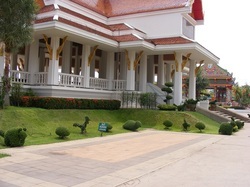 The Udon Thani Technical College is located on the right at this crossroads. The City Shrine is then about 150m on the right.